Friday The 13th fans and have been pining over all of those fan created 3 3/4 inch retro action figures from the franchise that have been circulating for sale on eBay and other sites over the past couple of years. The prices those figures have been fetching can get pretty high, which normally deters the casual collector from obtaining one. The battle cry among some fans have been that a licensed version of one of these figures should be created for everyone to have a chance to own. Those cries have been heard and now it looks like we will all be able to own our own little retro Jason figure. Last year it was announced that Vinyl collectible company Funko would be partnering with Super 7 to produce a new line of action figures called Reaction Figures. The first wave of this line was released recently for the 1979 film Alien. Now the full assortment of licenses that have been acquired for production of Reaction Figures has been revealed and Friday The 13th is on the list! 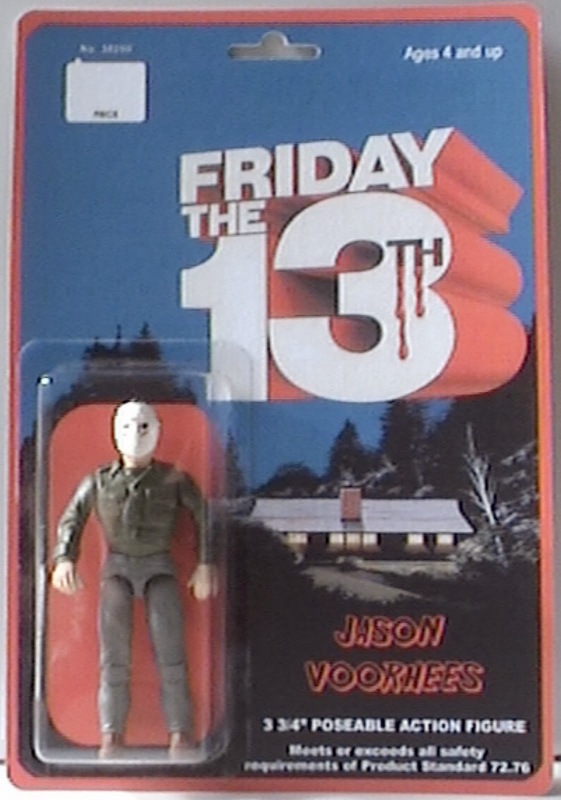 Get your very own retro action figure from Friday the 13th! This Friday the 13th Jason Vorhees ReAction Retro Action Figure features the murderous psychopath who wears a hockey goalie mask. Measuring 3 3/4-inches tall, this fantastic articulated ReAction Figure from Super7 x Funko takes a look and style that harkens back to classic action figures made by companies like Kenner. Look for more information on this figure soon.